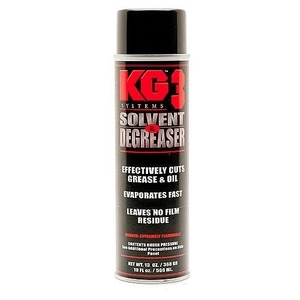 KG KG-3 Solvent & Degreaser. KG-3 is a non-chlorinated ozone safe formula used to remove the residue loosened by KG-1, KG-2, KG-12 and for cleaning and degreasing parts. 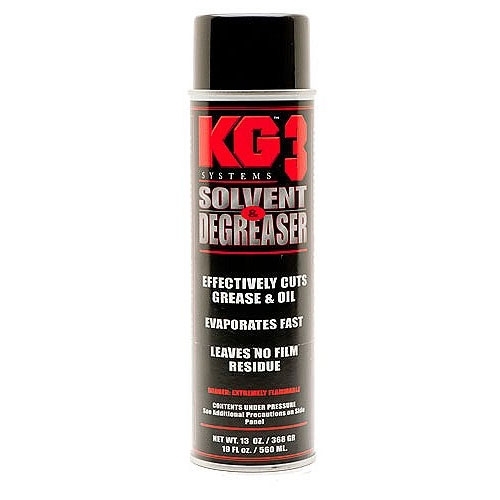 KG-3 contains a special formulation of fast drying, water-displacing solvents which will rapidly cut through oil and grease without leaving a residue. 19oz cannister. Still didnt used. Hope it is super as other KG products.